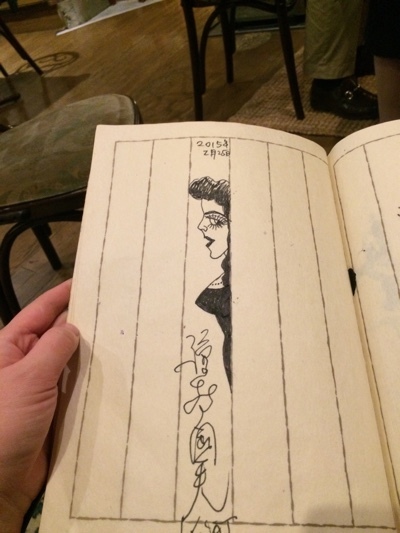 it is from Saturday, February 14 to Sunday, March 22. 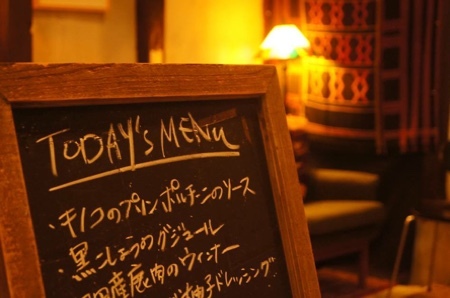 ーadmission 200yen from 10:00 to 17:00. 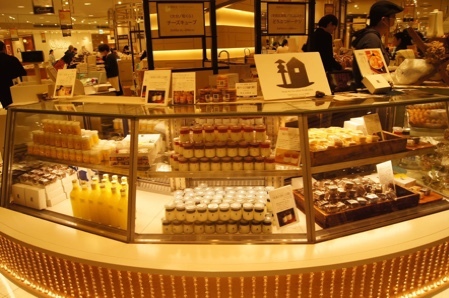 ■I open a store in the Iwataya Department Store Head Office Main Building basement second floor sweets stage. 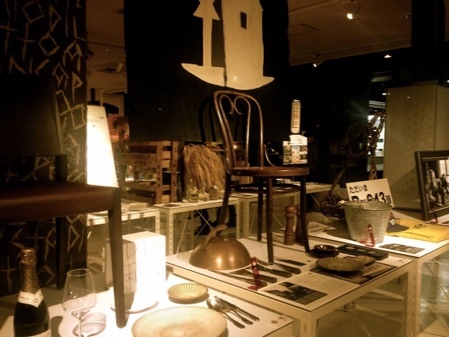 ・Shibuya Hikarie d47 "d design travel OITA EXHIBITION"
There was a reservations party in WAKURA cafe space. I wrote a menu on the blackboard. That was nice. 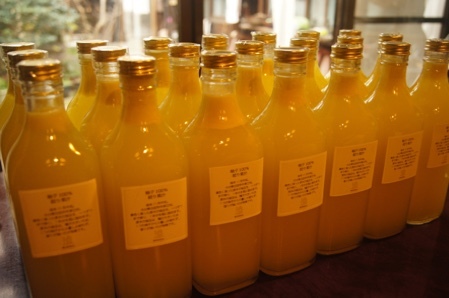 The order for juice of the YUZU citron is M of Tokyo. I send 30 bottle 550 ml in. The feature of the citron of the raw wood (plant raised from a seed) is that a fragrance is strong, and there are many "cages". "A cage" precipitates a lot and is isolated. The part that the nutritive value is the highest in this. I bundle for knowing this "cage". 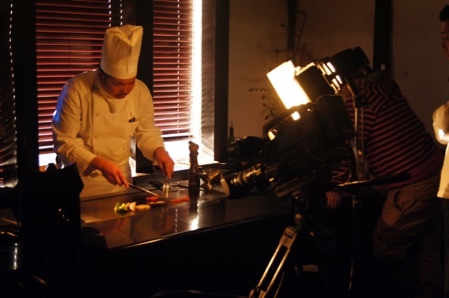 We make Kagoshima-beef a mince. make it taste of WAKURA specially made hamburger steak. 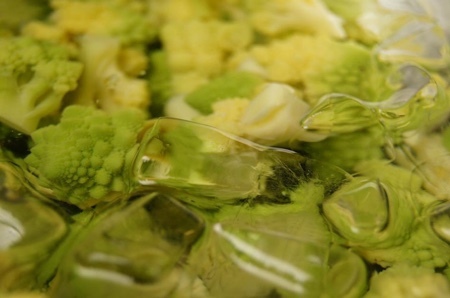 It is a kind of the cauliflower in foreign vegetables. Shibahara of the organic farming of Kusu. 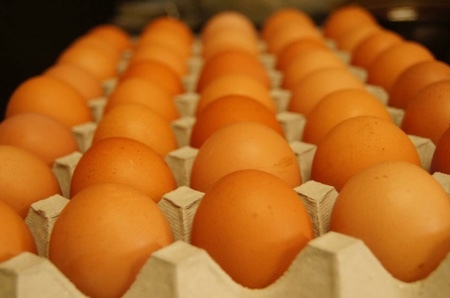 A fresh delicious egg. Thank you as Always. 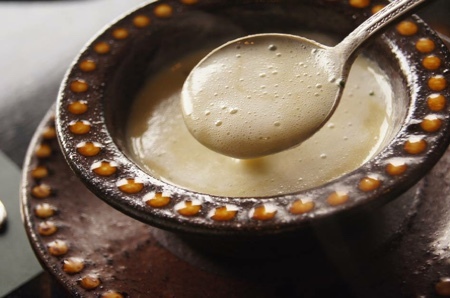 This time "the potage of an oyster from Hiroshima." It is a color of the livers that is greenish. Heavy taste gets wide to a mouthful. It is already February. Narcissus blooms on the counter. When I was small, I have stepped on the narcissus carelessly. Is the narcissus all right? I went to look the next day. It turned straight to the top and bloomed. I wanted to become a person such as the narcissus. Such an old composition. I begin to think narcissus to look.